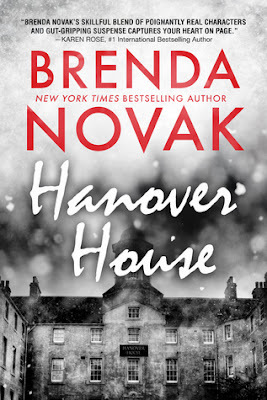 Hanover House by Brenda Novak is the prequel novella in her upcoming Hanover House Chronicles series. In this book, we are introduced to Psychiatrist Evelyn Talbot who studies psychopaths and their motivations in committing heinous crimes. Once a target of one such psychopath, she has established a revolutionary new medical health center in the remote town of Hilltop, Alaska, where she studies the worst of the worst. Except the people in this small town aren't very happy about the place called Hanover House. Alaskan State Trooper, Sergeant Amarok, is one of them but still he is duty bound to protect her and also attracted towards her. I love Brenda Novak's books and when I heard about this one, I was really excited. It had all my favourite ingredients, right from romance to mystery to the allure of Brenda's writing. The cover is creepy and perfectly suited to the book. 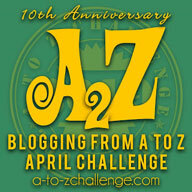 It gives the initial chill and attracts the reader to check out the book. The blurb is again very interesting and combined with the title and cover, this is an intriguing first glance package sure to attract readers. The plot is expertly conceived and executed. The author creates a bleak, mysterious and chilling atmosphere right from the start. The creepy quality of the story is kept maintained throughout and I sat at the edge of my seat throughout expecting an ambush, feeling the spine tingling sensation of impending doom anytime! I loved and was impressed by Evelyn who has been to hell and back and still remained strong. Her dedication towards understanding how trusted people turn against you gets her in so much trouble and difficulties. I enjoyed watching her tackle these psychopaths and trying to convince people towards her noble cause was both enlightening and impressive. Amarok has secrets of his own and is strong. So well suited to Evelyn. I enjoyed her chemistry with Amarok and am so eager to read more about these splendid characters. I loved Brenda's clever writing where she expertly balances the emotional play with the mystery element. The story is fast paced and prepares a foundation for the upcoming first novel in this series which is expected to release in September 2016 and I cant wait to read it! All in all, Hanover House is an entertainer and I absolutely loved reading it. 4.5 out of 5 to it and recommended to all lovers of mystery, thriller and romantic suspense. I received an ARC from the author and the publishers via netgalley and I am very thankful to them. The above review is my honest and unbiased opinion and in no way influenced.